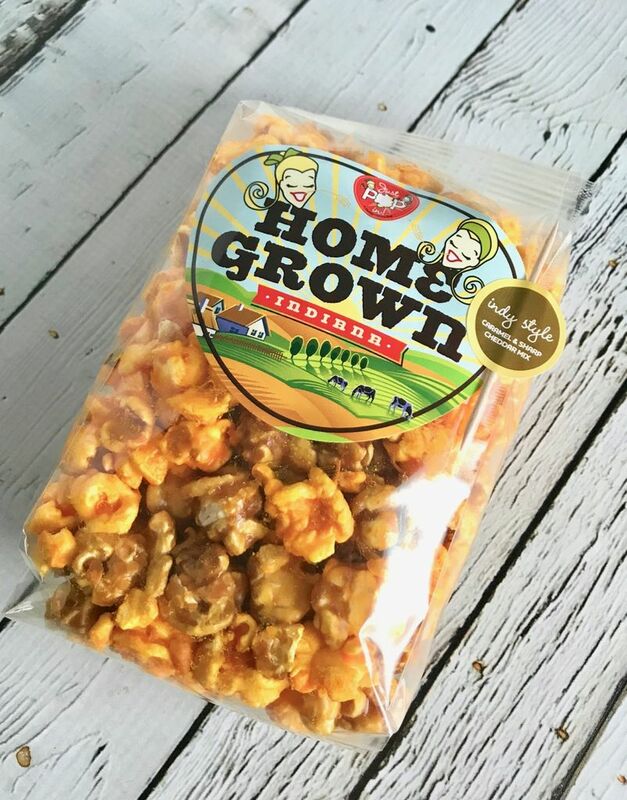 This is a bag of Just Pop In! 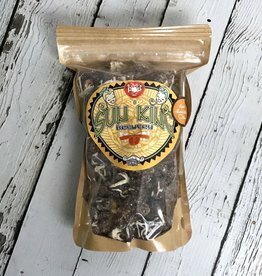 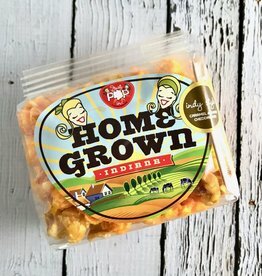 “Indy Style” mix popcorn. 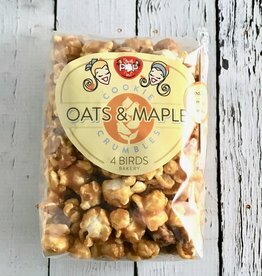 It’s a playful integration of sweet and salty; Features their original sweet Caramel Corn and savory Sharp Yellow Cheddar. 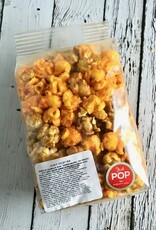 Small container of Just Pop In! 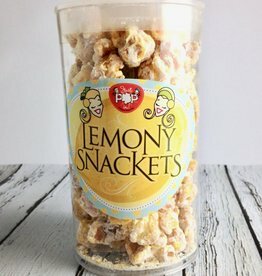 Lemony Snackets Popcorn. 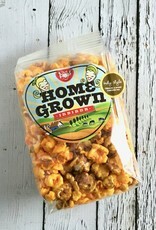 Now selling crazy delicious popcorn from an Indy original, Just Pop In! 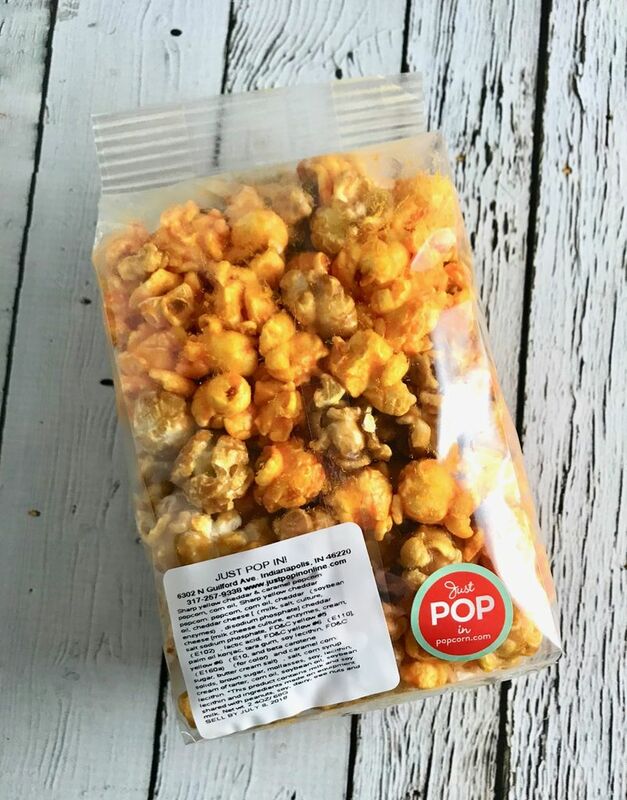 This is a mini bag of Just Pop In! 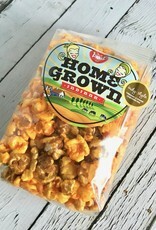 “Indy Style” mix popcorn. 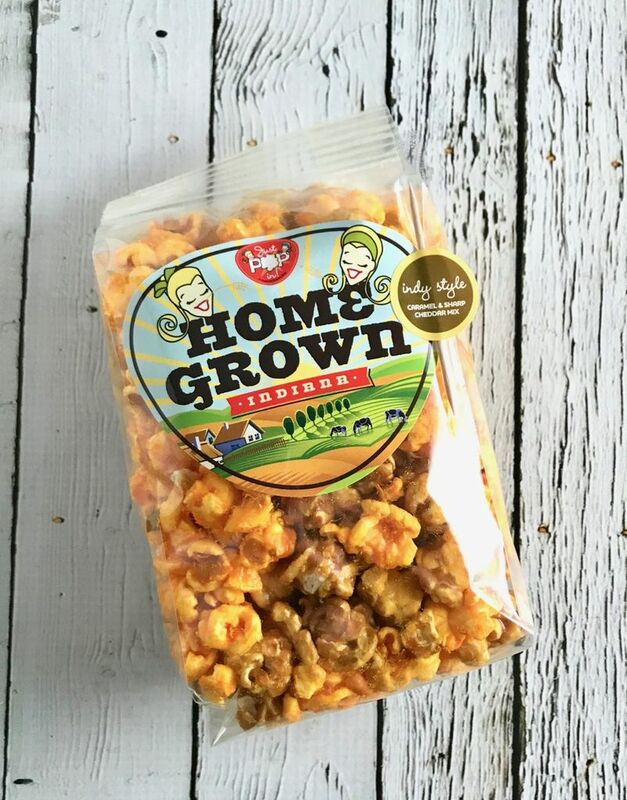 It’s a playful integration of sweet and salty; Features their original sweet Caramel Corn and savory Sharp Yellow Cheddar.